Contact us today with your requirements for Medium Carbon Steel Plate. Murray Steel Products stock large quantities of certified medium carbon steel plate, ready for quick delivery anywhere across the UK and Ireland. As the leading suppliers of steel plate to the UK manufacturing and engineering sectors, we have the stock to fulfil everything from long-term supply contracts to short lead time one-off orders. Mill certified plates - which are all sourced from high-quality mills within our long-established global supplier network - are available in standard sizes of 4000 x 2000 and 5000 x 2500 in a wide range of thicknesses. In addition, we can supply non-standard sizes and lab certified plate, both of which can be cost-effective choices. Murray also have an extensive in-house ISO 9001 and CE Execution Class 4 accredited processing operation, meaning we can supply your medium carbon steel plate cut to the size required for your manufacturing process, along with custom profiled and drilled components. 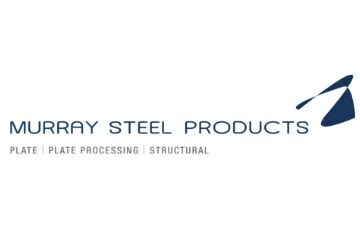 Contact Murray Steel Products on 0121 557 7251 or via the website to request a quote for C45, EN8 or EN8D steel plate or profiles.